Ornamental erect shrub 6-12' for very well drained soils. Tolerant of extended dry periods and moderate frosts once established. Suitable for full sun or partial shade. Large sulphur yellow (sometimes) terminal flowers in summer. 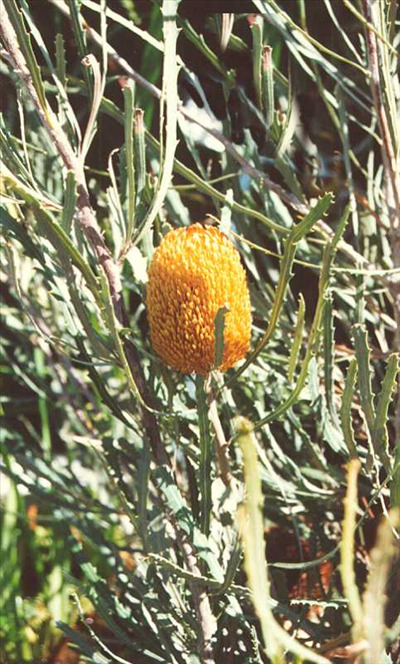 Excellent landscape banksia. Good container plant for several years.